Last weekend while browsing in thrift shops I found a gift for my 7-month old niece Lily-- a teeny tiny denim jacket. 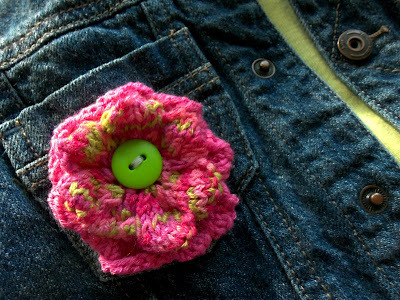 After taking the jacket home, washing it and gazing adoringly at it for a while, an idea came for adding a pop of color ... a knit flower in bright pink and green. 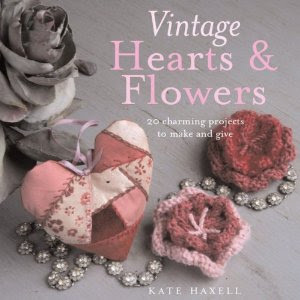 The pattern for the flower is from the book Vintage Hearts & Flowers by Kate Haxell. The yarn is Crystal Palace Panda Cotton. It is one of the easiest flower patterns I've found and only takes a couple of hours to knit. I'll take a photo of Lily modeling the jacket later this week when I see her. 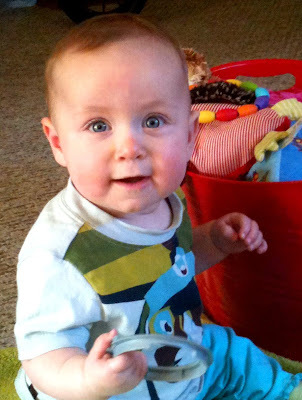 In the meantime, here is a recent photo of my little darling. I can't believe how big Lily is getting! What a doll baby! The flower and the jacket are just darling and Lily is so precious! Oh my - she's just so adorable! I love the flower! Adds just a little punch! They grow up too fast!! I love her expression in this photo. Awwww, she's adorable Stacy! 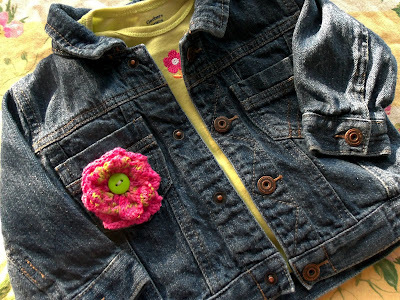 She'll be rockin' that adorable little flower on the jean jacket too! All I can say is "awwwww"! The flower makes the perfect little accent for her jacket too! What a sweet little jacket BUT with the flower... PRECIOUS! I know that Lily will be looking so stylish while modeling her new jacket from her sweet Auntie! Have a blessed day, you could be starting a new trend:) HUGS! How sweet! That will look so cute on her - can't wait to se a pic! I just found your blog. I am a sporadic knitter - mostly in the winter. I'm sure I'll enjoy seeing your bright ideas! Love the jacket with the pink flower. Lily is PRECIOUS. I hope to meet her some day soon! Love that pop of color! Perfect! Lily is getting so big.